Hi there, I hope you can answer some of my questions in regards to opening a kiosk on a family owned and operated resort. I am a floral designer and have been in the customer service business for about 20 years. My experience is in restaurants and lounges, but my passion is flowers. I have to come up with a business proposal with bottom line $ and all that kind of stuff. I am good with numbers and I know how to make a profit, though I have never run a flower shop. Right now the company uses a very expensive and over rated outside company for special events like weddings and various parties. And another company for arrangements in the lobbies and front desks and a couple of the restaurants. I believe that having a kiosk on property will not only be cost effective, but convenient, for the members of the club as well as our other guests. My problem is I don’t know how to come up with a business proposal, because I have never done one. Can you please help? Thank you. What you need to do is to write a business proposal that could win you the business. You did not mention your relation to this family-owned and operated resort. Network and personal relations are often important when you are trying to persuade a business to change their operation — and get you on board in the business. I assume that you are working with the resort, or at least have close ties with the resort. If so, it wouldn’t be too difficult for you to present your business proposal to the owners. If you are one of the owners, then you only have to convince the other family members to vote for your proposal. However, if you are a total outsider, your first step is to find someone from the inside who is willing to listen; and who can introduce you (or even better, advocate for you) to someone who makes the decision. Who you know is important in business, more so in a closely-held family business. Knowing the people involved in the business can at least help you get your foot in the door. Whether you are an insider or outsider, your business proposal must convince the owners of the benefits that can be derived from following your plan. You must clearly state and support your argument with facts and numbers that the alternative of doing the flower shop in-house, than outsourcing the service to two companies is the most cost-effective alternative. You will have to create a cost-benefit analysis to prove that your alternative is the better choice. You need to prove that having you operate the flower shop kiosk is beneficial to the resort, and you can achieve this by thoroughly researching and getting information about this part of the resort’s operation. Gather the facts about the expenses and income the resort makes when they outsource the special events to outside companies. What is the nature of the deal of the resort with these outside companies? Does the resort make any money (e.g. commission, percentage of sales) from these companies when they are used for the special events and weddings, etc? How much? Are there any non-financial benefits of having a flower shop in the resort? Do the owners of the resort have any relationship whatsoever with the suppliers? You may have the best alternative, but if your bosses and the suppliers are super-chummy (e.g. golf buddies, marriage sponsor, etc), you still would have a hard time selling to them your plan. If your answer is “No,” then your task of convincing them to allow you to provide the same service will be easier. What the financial and non-financial costs to the resort when outsourcing these services? What portion of the operating expenses are flowers and these types of services? How has the cost increased over the last decade? You must be able to compute how much the cost has increased over the years. If there is any trend, include it in your report. More importantly, be able to project the cost of outsourcing these services for the next five years. If the historical growth rate is 20% per year, you can use that as your growth rate to project how much the company will be spending on these services. Do the same projection with the ratio of the cost of these services to the total operating expense. Has the cost of outsourcing flower supply increased in percentage relative to the total operating budget of the company? How will this percentage look like in the next five years? Come up with your proposal of creating a kiosk to provide flowers and these services in-house. Cost in building the kiosk. This includes the rent of the space that the kiosk will occupy. If the resort is the owner of the kiosk, you need to quantify whether having the kiosk in the spot is the most ideal way of utilizing the space. What is the opportunity cost for the resort (meaning, will there be any lost revenues for the resort had they rented out the space to a tenant, instead of to your flower kiosk?). You need to know the size of the space that you propose to occupy and estimate the cost of rent of that space. Cost of operating the kiosk. Estimate the expenses in terms of personnel salary – who will man the kiosk, how many people will man the kiosk and do the flower arrangements, etc. Also include in your computation the cost of electricity, water, telephone, and other overhead expenses. Add to that the additional man-hours of supervising this new business division – from record keeping and auditing of the books, the management of its bank accounts, etc. Be sure that you are able to itemize all possible expenses. The more thorough you are, the better your estimates will become. Prepare a list and costing of equipment that needs to be purchased such as refrigeration equipment to store your flowers, cash register, vault (if needed). You also need to compute how much will you spend for your flower containers and vases, ribbons, packages, etc. 3. 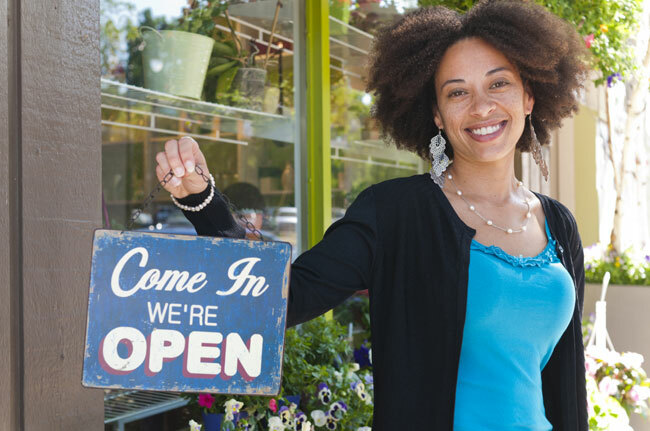 Prove the business viability of your flower kiosk. Since the kiosk will be inside the resort, the special events market would definitely be yours. But you have to present evidence that the resort will be saving money with your plan, and that your kiosk can be a viable income-generating business unit of the resort. I am sure that you have an idea how many events the resort has in an average month. Knowing the demand, take an average number of events and estimate how much sales do you expect to make in these events. You can then project your income from this. Next question is how do plan to sell the flowers? Are you going to confine your market to the resort, or are you going to tap other resorts and the local community? Do you also plan to deliver phoned-in orders? If you do, you will need a delivery vehicle and delivery man. Have you identified potential suppliers of your flowers? If you already did, then you should have some estimate, how much supply you will need. Of course, you have to make sure that your supplier will be reliable and can supply your flower requirements at any given time that you will need them. Also know the payment terms – are they willing to provide you with credit terms? If so, what terms? Once you have all the costs and estimated sales in your hands and you believe that it is worth giving a shot, organize your figures and present it formally to the owners. Try to visualize the good months versus lean months and how you plan to operate during those times of the year. What kind of flowers do you plan to carry on inventory. How will you differentiate your service (in marketing parlance, what is your Unique Selling Proposition?) Also, take a look at your prospective customer traffic. Will you have walk-in clients or members only? Perhaps, the above can get you started with your proposal. You may want to read the article Starting a Florist Shop to give you ideas of what is required when starting this business. We’ve included a list of books that may provide you with further information in this business. To win the business, you must learn how to write persuasive business proposals. Read our advice on what our reader who wants to open a flower shop in a resort must do to write her proposal and win the business.